Philippines. This is not a complicated process but it can be very time consuming and may include a few steps or processes that you are not aware of. The original version of this post was made on Oct 21, 2012, however has been updated today. This 4,300+ word article is broken up into several parts as there is quite a bit to cover. The first part of the article will provide a brief overview of the entire process and the subsequent parts will go into more details for each section. The Philippine Government requires all foreigners to provide a “Legal Capacity to Contract Marriage” from his/her embassy before filing for a marriage license. The U.S. Embassy or U.S. Consular Officers cannot provide a “Legal Capacity to Contract Marriage”. Instead, the U.S. Embassy provides an Affidavit In Lieu of Certificate of Legal Capacity to Marry. 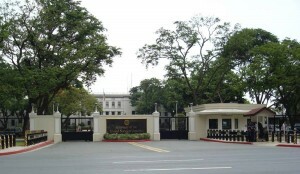 This is explained in detail on the web site for the U.S. Embassy in Manila. The affidavit must be obtained from the U.S. Embassy in Manila. Please note that Philippine authorities will not accept any substitute document initiated in the United States. There were reports on that three local civil registrars had refused to accept the Affidavit In Lieu of Certificate of Legal Capacity to Marry. The three registrars listed were Makati City, Quezon City and Davao City. It is the responsibility of the U.S. citizen to check with the local civil registrar to verify requirements with them and whether or not the affidavit will be accepted in lieu of the “Legal Capacity to Contract Marriage”. U.S. military personnel should contact their personnel office regarding Department of Defense joint service regulations. The affidavit will be refused if proper military authorization is not presented by U.S. military personnel. Once you have obtained the Affidavit In Lieu of Certificate of Legal Capacity to Marry from the U.S. Embassy, you are ready to start the process to apply for the marriage license. The license is a requirement for either a civil or church wedding in the Philippines. U.S. Passport and a copy of the title and data pages of the passport (copy of the photo and information page). Affidavit In Lieu of Certificate of Legal Capacity to Marry from the U.S. Embassy. Copies of divorce decree(s) and/or death certificate(s) required to verify civil status and capacity to marry. Documentation regarding paternal consent or advice if applicable. Obtain the marriage license application and follow instructions to complete. Submit requirements at the local Civil Registrar’s office for order of payment. Obtain certificate of attendance for marriage counseling seminar. After attending the marriage counseling class/seminar, submit all requirements at the local Civil Registrar’s office for Oath Taking. Note: Philippine law prohibits the marriage of individuals under the age of 18. Marriage applicants aged 18 to 21 must have written consent from their respective parents. Applicants aged 22 to 24 must receive parental advice to ensure their respective parents are aware of their intent to marry. A civil wedding, in the Philippines, may be the quickest and easiest way to marry in the Philippines as there are fewer requirements than a church wedding. For a civil wedding, you will need to solemnize the marriage. You will need to schedule the solemnization of the marriage with a judge, minister or any other person authorized by the Government of the Philippines to perform the marriage. Present the marriage license to them, take the oath and have the paperwork signed. You will need to have two witnesses present at your wedding in order to witness and sign the certificate of marriage. Following the signing of the marriage certificate by all parties involved, you will need to take the certificate of marriage to the local Philippine Civil Registrar where one the parties is a resident. The certificate of marriage will be registered by the local civil registrar and be available in 10 business days or so. You may obtain can obtain certified true copies of certificate of marriage from Philippine Statistics Authority (PSA). This certificate is printed on PSA security paper is required for the interview at the U.S. Embassy in Manila. You can find information regarding church wedding requirements at the U.S. Embassy in Manila web site: https://ph.usembassy.gov/u-s-citizen-services/local-resources-of-u-s-citizens/getting-married/. If you are a U.S. citizen and plan on getting married in the Philippines, here are the things you need to know. There is a 10 day waiting period from the time you file your application until the marriage license is issued. If your fiancée is under 25 years old you will need a note from her parents. Marriage is not possible to a person under 18 years old. You, the U.S. citizen will need an Affidavit in Lieu of a Certificate of Legal Capacity to Contract Marriage which you can only get in person at the U.S. Embassy in Manila or at the U.S. Consular Agency in Cebu. The fee is $30. You will need copies of divorce or death certificates for each of your previous marriages. To get more details on marriage in the Philippines, check out the U.S. Embassy page on this topic here. 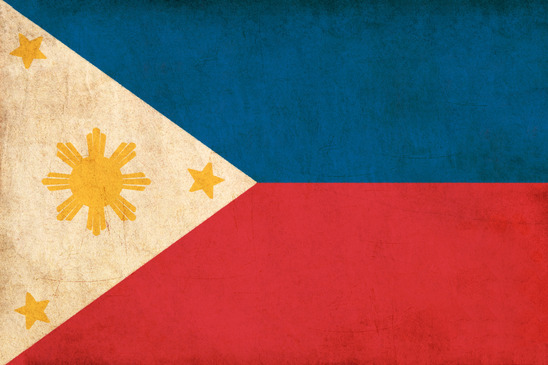 Once you are married, you can bring your Philippine bride to the United States using the K-3 Visa or the CR1 process. RapidVisa can prepare everything you need to bring your spouse to the U.S. for the guaranteed lowest price. Go here to learn more. Any foreigner who wishes to marry in the Philippines is required by the Philippine Government to obtain from his/her Embassy a “Certificate of Legal Capacity to Contract Marriage” before filing an application for a marriage license. The United States does not have a national registry for marriage and there is no such database that tracks marriages in the U.S. Therefore U.S. Consular Officers cannot confirm whether or not you have the legal capacity to marry. They cannot certify your status of eligibility. The U.S. Embassy basically provides a notary service. They request copies of your divorce decrees and/or death certificates check your U.S. passport witness oath taking and then stamps your affidavit. Because the U.S. Consular Officers cannot certify a Legal Capacity to Contract Marriage, the U.S. Embassy provides an Affidavit In Lieu of Certificate of Legal Capacity to Marry. The affidavit is the only document the U.S. Embassy is able to provide. The affidavit must be obtained from the U.S. Embassy in Manila. Please note that Philippine authorities will not accept any substitute document initiated in the United States. If the local registrar refuses to accept the affidavit there is nothing that the U.S. Embassy in Manila can do. It is the responsibility of the U.S. citizen to check with the local civil registrar to verify requirements with them and whether or not the affidavit will be accepted in lieu of the “Legal Capacity to Contract Marriage”. There were reports posted on the U.S. Embassy web site that three local civil registrars had refused to accept the Affidavit In Lieu of Certificate of Legal Capacity to Marry. The three registrars listed were Makati City Quezon City and Davao City. In early March the Consular Section of the U.S. Embassy moved into its new building on the Embassy grounds. Public access to the new building will be at a different entrance but still off of Roxas Blvd. The guards can assist you in finding the new entrance. U.S. Embassy New Annex Bldg. Present printout of scheduled appointment to guard along with current passport. Enter the security checkpoint at the U.S. Embassy. No electronic devices i.e. USB flash drives/thumb drives digital cameras or cellular phones allowed. No gum or drinks allowed. These items will be confiscated and placed in a plastic storage container. You will be issued a plastic card with a number and you will need to present the card to get your items back when you exit the U.S Embassy. Enter the U.S. Embassy building and approach the counter. Only the person listed on the appointment confirmation can enter the U.S. Embassy. Fiancés will not be allowed to enter. They must wait in the covered waiting area just outside the Embassy building. Inform the person at the counter you are there for a scheduled appointment to acquire the Affidavit in Lieu of Certificate of Legal Capacity to Marry. You will be presented with a printed number and told to go to the 2nd floor and go to the window that calls your number. Your number will flash on a screen and will display the window number when your number is called. You will be asked to present your printed appointment confirmation and a current U.S. passport. You will be handed a yellow invoice and a form that will need to be completed. Do not sign the form until you are told to do so. You will be instructed to pay the notary fee of $50.00. Take the yellow invoice to the cashier located just a few windows down from where received the yellow invoice and form. You can pay the notary fee in US dollars or Philippine Pesos. You can also pay also pay using a bank debit card or credit card. Once you have paid the $50.00 notary fee you will need to return the receipt and completed form back to the original window where you received the form and yellow invoice. Again do not sign the form until told to do so. You will also be asked for your U.S. passport. You will be instructed to sit until your number is called again. When your number is called the second time you will be asked to state your name and birth date. You will be asked to raise your right hand and take an oath swearing that the information you provided is the truth and accurate. You will then be asked to confirm the information you listed on the completed form i.e. whether or not you were married before the number of times you were married and if you are legal to marry. You will then be asked to present any divorce decrees and/or death certificates you may have. You will be asked the age of your fiancé. Your affidavit will be stamped and signed. You will be handed the notarized affidavit and receipt. You will need to exit U.S. Embassy through the security checkpoint where you entered. You will need to present the plastic numbered card you received in order to get back any items you had to leave with security. You will exit the security checkpoint and the U.S. Embassy grounds. This part of the process is very smooth efficient and painless if your documents are in order and you have the funds to pay the fee. This part of the whole process takes just over 30 minutes. ​Once the U.S. citizen has obtained the Affidavit In Lieu of Certificate of Legal Capacity to Marry from the U.S. Embassy he or she is ready to start the process to apply for the marriage license. The license is a requirement for either a civil or church wedding in the Philippines. It’s fairly easy to apply for a marriage license in the Philippines. You will need to visit the LCR (local civil registry) or go online to find out what the exact requirements are for each city or region. The requirements for a marriage license in Manila can be found online at http://www.manila.gov.ph/citycivilregistry.htm. After attending the marriage counseling class/seminar submit all requirements at the local Civil Registry for Oath Taking. You will need to obtain the application for marriage license at the local Civil Registry. You will need to submit all requirements at the counter and pay the P120.00 fee. When filling out the application for marriage license keep in mind that two copies are required and they do not provide carbon paper so you will need to complete two forms. You need to ensure that the information you write on the forms match the birth certificate including the parent’s nationality. After you have submitted requirements and paid the fee you will need to register for and attend the required pre-marriage counseling seminar. Please note there are additional requirements for applicants under 25 years old. You will need to check with the local Civil Registry for any additional requirements. To register for the pre-marriage counseling seminar you will need to go the local Health Department. In Manila the Health Department is located in room 128. Once you arrive in room 128 you will need to present the application form and receipt for P120.00. Each couple will receive a new form with a control number. Complete two copies of the form as instructed. The seminar lasts approximately two hours and the facilitator covers all of the areas that were outlined on three large posters pinned to the wall at the front of the room. After completing the marriage counseling seminar the facilitator will hand your paperwork back to you along with a certificate of attendance. You will be instructed to take the forms and certificate for attendance back to local Civil Registry. The city employee behind the counter will check the completed application forms ask for copies of valid passports and request copies of the divorce decrees and/or death certificates. The U.S. citizen will be asked for the Affidavit in Lieu of Certificate of Legal Capacity to Marry obtained from the U.S. Embassy. Once the documents were reviewed the employee stapled all of the pages together and then stamped the pages several times. You will then be instructed to walk into an office just a few feet from the counter. A city employee will review your paperwork again. Here you will be asked to stand and take an oath stating that the information you have provided on the application was accurate and the truth. You are done with the marriage application process after taking the oath. After applying your marriage license the information given in the application will be posted for 10 consecutive days inside the city hall. Your marriage license will be released after 10 days not including weekends and/or holidays. After the ten days have passed you can you must bring your receipt to the civil registry counter and pick up your marriage license. The marriage license is valid for 120 days and will automatically expire if not used. Go to the local Civil Registry in the town or city where your fiancé/fiancée is a resident for all requirements. You can go to a web site for the local Civil Registry at Manila City Hall for all requirements regarding marriage license in Manila, Philippines. The web site is: http://www.manila.gov.ph/citycivilregistry.htm. A civil wedding, in the Philippines, may be the quickest and easiest way to marry in the Philippines as there are fewer requirements than a church wedding. This section provides an overview of the process and steps required for a civil wedding. You may want to choose your wedding rings as early as possible, as you will exchange rings in the process and rings may take additional time to order or re-size. Allow additional time if you wish to order or design custom rings. Once you have scheduled the date for your wedding and received the marriage license, you will need to decide who will solemnize the marriage. For a civil wedding, you can choose between a judge, mayor and other person authorized by the Government of the Philippines to perform the marriage. In most cases, you will need to schedule with the judge, mayor or others in advance. If you choose a judge to solemnize your marriage, you can make an appointment at the Manila City Hall. You will need to write a letter requesting a judge to solemnize your marriage. The letter will need to list the names of both parties getting married. You also need to list the preferred date you have selected to get married. Please note that your date is not guaranteed. The date will need to be agreed to by the judge. There are no fees required for a judge to solemnize the marriage. In Manila, the judges are assigned by a raffle process. You will be instructed to return to the Manila City Hall in approximately two days to meet with the judge assigned to your case in the raffle process. In most cases, you will actually meet with the judge’s assistant and you will submit your marriage license for review. A wedding date will be agreed upon and scheduled. Once your wedding date is scheduled and confirmed you will want to schedule two witnesses to witness your wedding and sign the certificate of marriage. The witnesses can be friends or family as long as they are of legal age. The witnesses will need to present valid identification. On your scheduled wedding date, you and your witnesses will come to the judge’s chambers or courtroom where you met with the judge. A civil wedding is an informal process and will be performed in the judge’s chambers or a courtroom, so you can wear casual business attire. Do not wear shorts, sandals or flip flops in the judge’s chambers or court room. Be sure to bring all documentation as well as the wedding rings. You will need to present the marriage license to the judge and exchange vows in front of him and witnesses. The certificate of marriage will then need to be signed by all parties involved. Following the signing of the certificate of marriage, you will need to take the certificate of marriage to the Manila Civil Registry where one of the parties is a resident. The certificate of marriage will be registered by the local civil registrar and be available in approximately five business days. You may obtain certified true copies of certificate of marriage from the Philippine Statistics Authority (PSA) in approximately two to three months after submitting it to the Manila Civil Registry. This certificate is printed on PSA security paper is required for the interview at the U.S. Embassy in Manila. You will need the official certificate of marriage, from the PSA, in order to file for a spousal visa. Now that you have gotten married you will turn your focus to getting your foreign spouse to the United States. This step can be very time consuming frustrating and expensive as the process and documents can be very complex and confusing. If you are a United States citizen your new spouse becomes what the law calls your “immediate relative” and may be eligible to receive a visa and enter the United States as soon as the two of you successfully complete the application process. Marriage-based petitions for spouses of United States Citizens fall under the immigrant visa categories of IR-1 and CR-1 visas. The two visas have different functions to address specific needs. The IR-1 and CR-1 visas do not require an adjustment of status. The IR-1 visa grants your foreign spouse a permanent resident status without conditions. This visa is ideal for couples who have been married for two years or longer. The CR-1 visa grants your foreign spouse a conditional permanent resident status. This visa is ideal for couples who have been married for less than two years. Once approved for the marriage visa your foreign spouse will receive a green card within a few weeks of entering the U.S. With this green card he or she will be allowed to legally work in the country. They will also be able to travel outside the U.S. and reenter legally. Note: There is no minimum age for a U.S. petitioner to file a CR-1 visa petition for a spouse. However you must be at least 18 years of age and have a residence in the U.S. before you can sign the Affidavit of Support. This form is required for an immigrant visa for a spouse and other relatives of U.S. sponsors. The immigrant spouse receives visa and is allowed to enter the U.S. The purpose of these steps are to prove the petitioner is a U.S. citizen a valid marriage has occurred the marriage is bona fide and that the immigrant spouse not inadmissible to the U.S. for medical criminal financial terrorist or other reasons. The length of the approval and processing times for CR-1 visa petition vary from case to case and cannot be predicted for individual cases with any accuracy. This use to be a long drawn out process but reforms at the U.S. 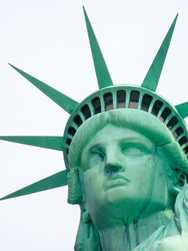 Citizenship and Immigration Services (USCIS) have dramatically decreased the waiting time. Some cases are delayed due to missing forms supporting documents or evidence. You will usually receive a request for evidence (RFE) if additional documents or information is required. Some visa applications require further administrative processing which takes additional time after the visa applicant’s interview by a consular officer. Disclaimer: The information in this blog article relating to the legal requirements of the Philippines is provided for general information only. Questions involving interpretation of specific Philippine laws should be addressed to an attorney or foreign government officials. I MET A LADY ON LINE DO I NEED TO GO TO THE PHILLIPINES BEFORE I CAN SPONCER WITH K1 FIANCEE VISA ? One requirement is to meet her in person at least once within 2 years of applying. Where you meet doesn’t matter but it needs to be in person. Please note we moved the question. I am married to an American man last August, 2016. But im not yet willing to stay in his place because of my work. Would it be okay to apply for just a tourist visa for now just to meet his family?If ever, what would be the requirements needed? Not very knowledgeable of this matter, my fiancé and I are planning to get married in Philippines. I would like to know if our Pastor from the US can be our Officiate in marrying us in Philippines using Marriage license obtain from the Philippines. Thank you. I was once married to a Filipina from Cebu City but am divorced now. I am a Canadian citizen and have my final decree from the courts here. I am looking to remarry a lady from Bulacan this year, what other documents do I need to bring over with me . I will have pass port plus birth certificate and divorce papers .